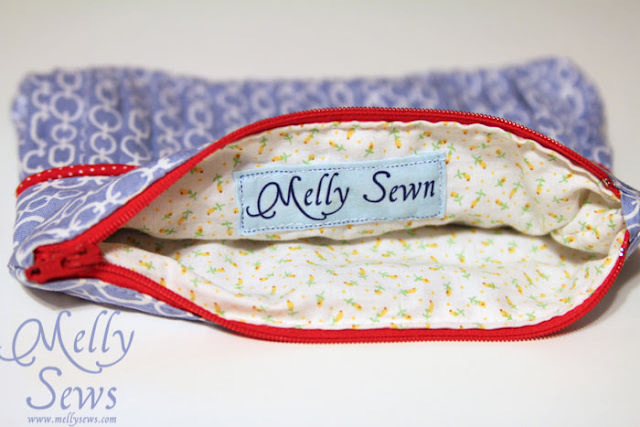 When I had an opportunity to participate in a handmade gift exchange, and my secret partner said she needed zipper pouches, well, I knew what I wanted to make. But it couldn’t be just any old zip pouch. 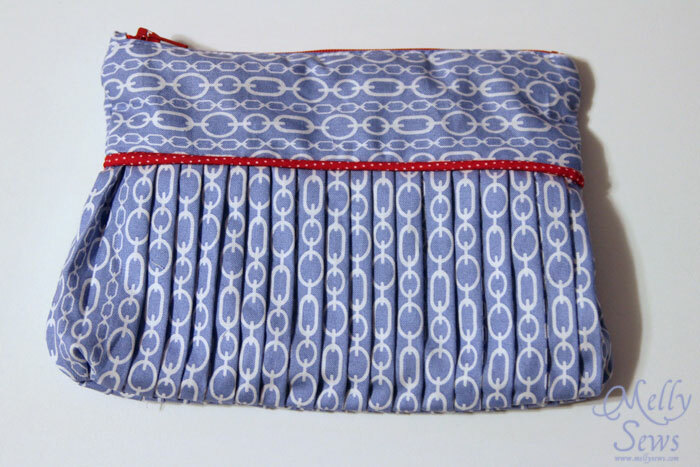 The first one I did was a pleated one. 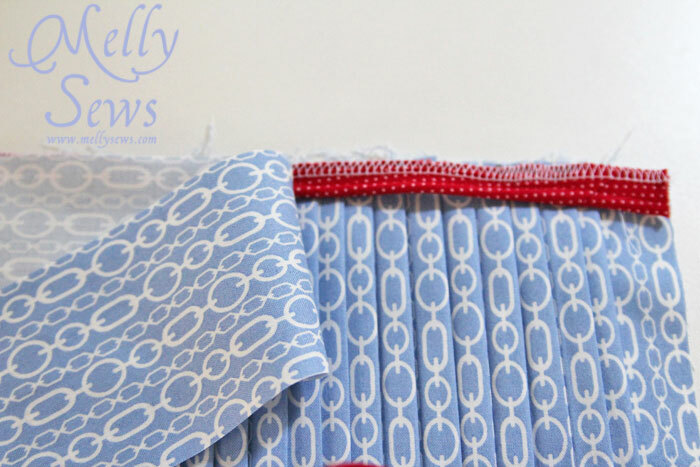 I started by ironing pleats into my fabric, just using the print itself as a guide. I made sure to iron enough to cover the length of my zipper (though I ended up changing zipper colors) with about 1/2″ extra on each end. I sewed basting stitches down each edge and in two rows down the middle of the fabric to hold the pleats in place. 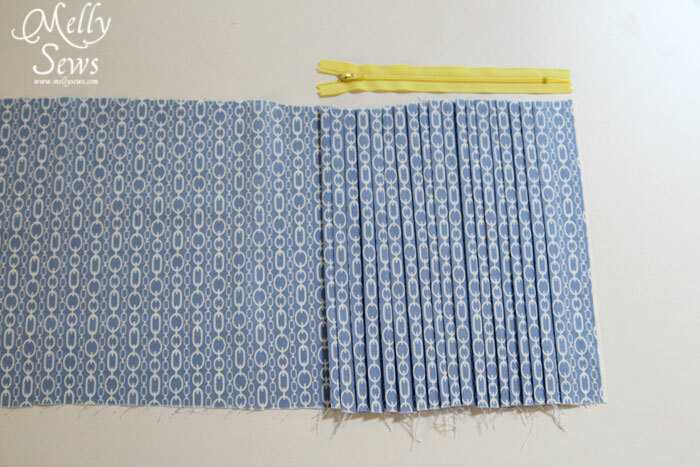 Then I cut between the two rows of stitching in the middle using a rotary cutter. I added piping and a flat section of fabric to the top of each pleated piece, then stitched. 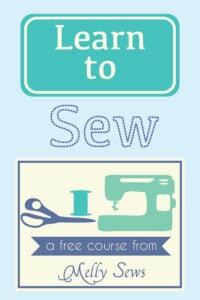 See how to make your own piping here. 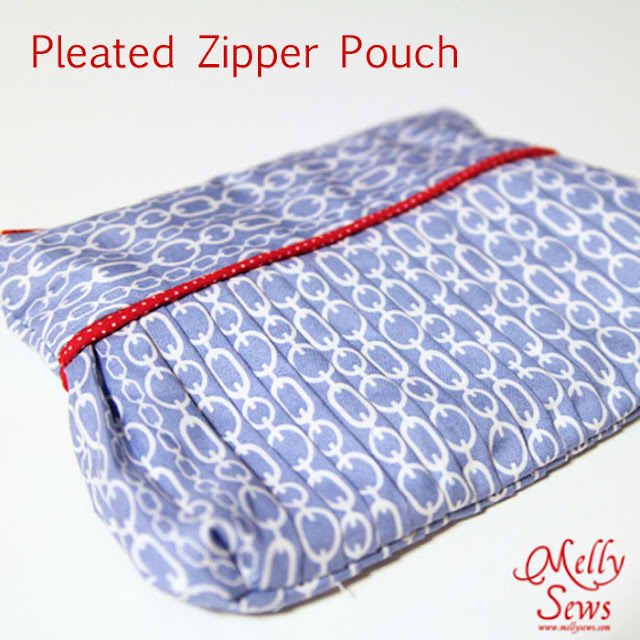 Then I just sewed it together like a regular zipper pouch, like this tutorial. I chose a pretty vintage looking fabric for the bag lining, and added a label to the inside. 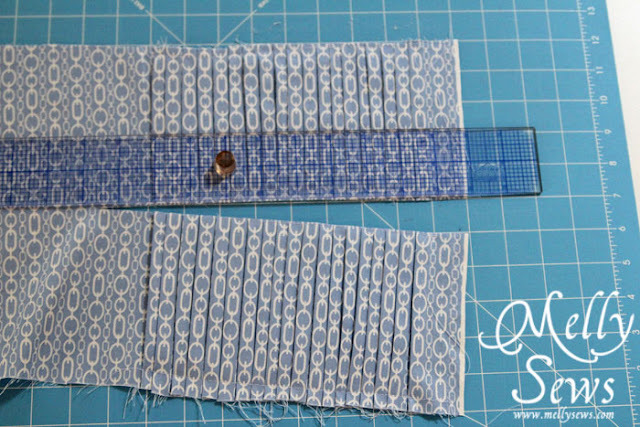 This looks fabulous, thanks for the tutorial, I have pinned it! What a cute idea! And the piping adds so much! I love the piping detail! Absolutely beautiful! I’m going to have to pin this to use later. You’re so talented. This is adorable. 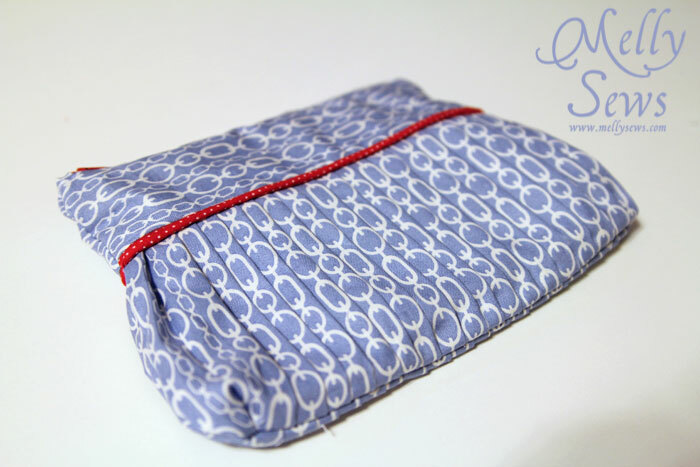 I’ve made some pouches…but the piping and pleats made this one extra pretty! So awesome!!! 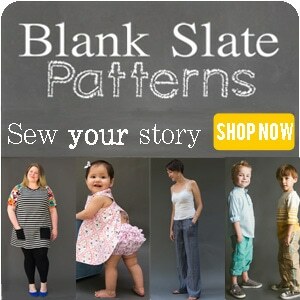 Love the fabrics you used and pleats! Thanks so much for sharing the great tutorial! I’d love for you to visit my blog. I love this. You always know how to explain hings so well. 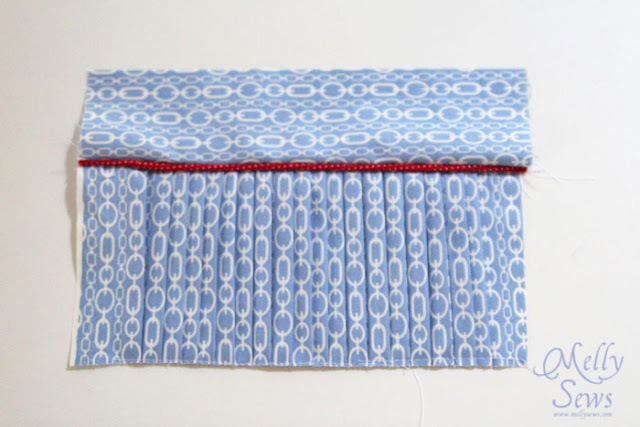 Just wondering what the name of this fabric is? Hi. 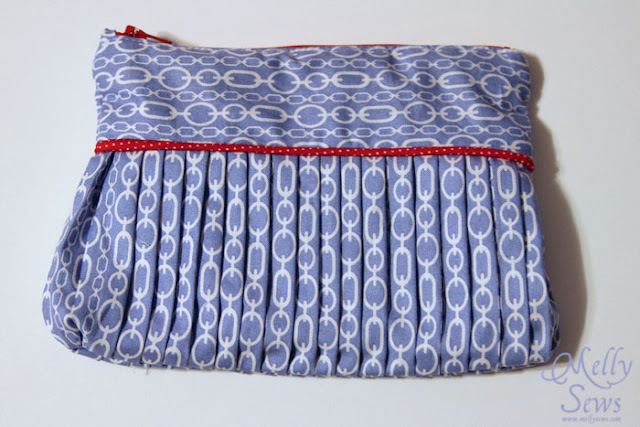 This clutch is gorgeous – I know just which fabric I am going to make it in. Thanks!